This e liquid is a tale of two different tobacco leaves that are going to let you appreciate the classic taste. BLK Virginia Tobacco is the e liquid that is going to give you an intense experience with the help of a couple different tobacco leaves. A mixture of Virginia and Tennessee roasted tobacco leaves that taste great together. When you take a pull of this e liquid, you can feel a rush of the classic tobacco flavors rushing into your mouth and making you feel as if you are in a forest trying out the best tobacco leaves Mother Nature has to offer. You can feel the blend feel as if you it is stuffing your pallet with several tobacco leaves and then slowly making their way down your throat. The throat hit will not be too intense, but it will be noticeable and allow you savor more flavors from your e liquid. As you savor the blend a little bit more before you have to exhale, you can almost see yourself relaxing on a balcony of your penthouse you have somehow been transported to. You are enjoying the breeze, and as it continues to blow, you dramatically let the wind take the vapor coming out of your mouth. 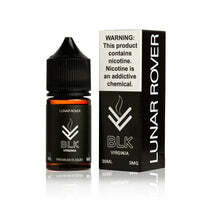 The e liquid will travel back up your throat gently and make sure you get a couple more hints of flavor to enjoy. The clouds are getting pretty big, but they are being dragged away by the wind. As they are flowing away, you can still smell the delicious blend as you are slowly being brought back to reality and realize you are outside your studio apartment building vaping. The trip it took you on was amazing, and going for a couple more hits will only make your day go a lot smoother.